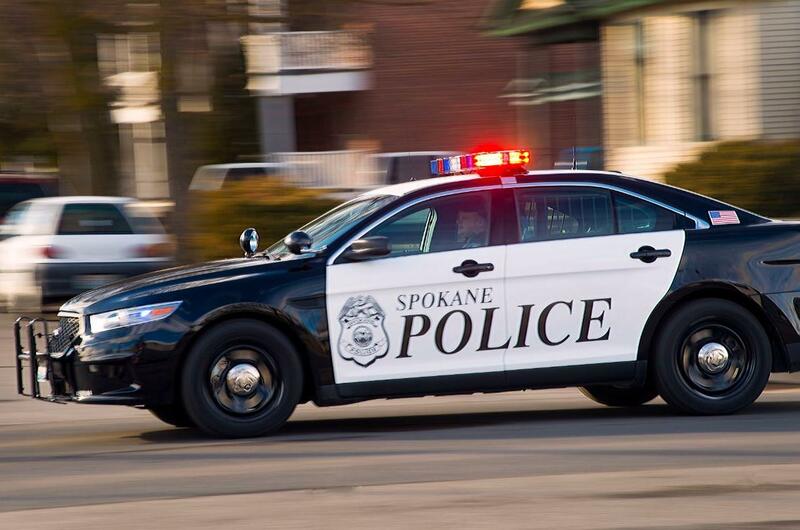 A 37-year-old man was arrested Thursday night after a brief car chase through north Spokane, a crash that sent another driver to the hospital and a break-in at a residence, according to the Washington State Patrol. The car chase began at 10:17 p.m. when state troopers tried to pull over a white Dodge Charger that was traveling without headlights near Division Street and Wellesley Avenue, Trooper Jeff Sevigney said in a news release. Sevigney said the Charger didn’t stop and troopers called off the chase after about two minutes. Police often don’t pursue vehicles in dense urban areas to avoid hurting other people and damaging structures. A few minutes later, Sevigney said, the Charger ran a stop sign at Monroe Street and Rowan Avenue, striking the driver’s side door of a southbound Ford Explorer and leaving the other driver with minor injuries. After the crash, the driver of the Charger, identified as Steven L. McKinnis, ran from the scene and Spokane police used a dog to track him, Sevigney said. During the manhunt, residents in the 4800 block of North Post Street called 911 to report that someone had broken into their house. Officers found McKinnis there and arrested him on charges including felony hit-and-run, eluding police and driving under the influence. Sevigney said McKinnis likely would face additional charges of drug possession and unlawful possession of a firearm. In 2009, McKinnis was sentenced to four months in jail after pleading guilty to third-degree domestic violence assault and second-degree unlawful possession of a firearm, according to newspaper records. Published: May 11, 2018, 3:19 p.m. Updated: May 11, 2018, 10:18 p.m.